A vitreous hemorrhage may be caused by a retinal tear. Sometimes there is so much blood in the eye that direct examination is impossible and we can only guess at the most likely cause. It is the most difficult situation for me to handle as a doctor. Patients lose significant vision as the blood in the middle of the eye physically blocks all light from hitting the retina. While this is usually not permanent visual loss, the blood makes it difficult to make a definitive diagnosis as it can be impossible to see the retina. Normally, without blood in the eye, a retinal tear may be easily diagnosed and treated with laser. While there are other causes of vitreous hemorrhage, such as diabetic retinopathy, retinal vascular disease and others. Still, a retinal tear causing the vitreous bleeding is quite likely. A retinal tear can cause a retinal detachment. A retinal detachment is potentially blinding. In cases of vitreous hemorrhage, the patient cant’ see “out” and I can’t see “in.” My ability to examine the eye is hindered. Options at this point are to observe (i.e. do nothing). Observing the eye is okay as the blood is doing no harm. But what if there is a retinal tear? A retinal detachment could occur if there is an undiagnosed retinal tear. Other tests, such as an ultrasound can often detect a large tear, but it is not as good as directly examining the eye. Operating to remove the blood to facilitate proper examination is an option, too. I am getting older, more aggressive, but smarter. As I have aged, i.e. gained more experience, I have become more comfortable operating in these cases. When I was younger, I would often hesitate because I was uncomfortable offering surgery in a situation where surgery might not be necessary, but I’ve learned (through experience) that watching a waiting can be more problematic. Most of the time I recommend operating to at least remove the blood and confirm a diagnosis. 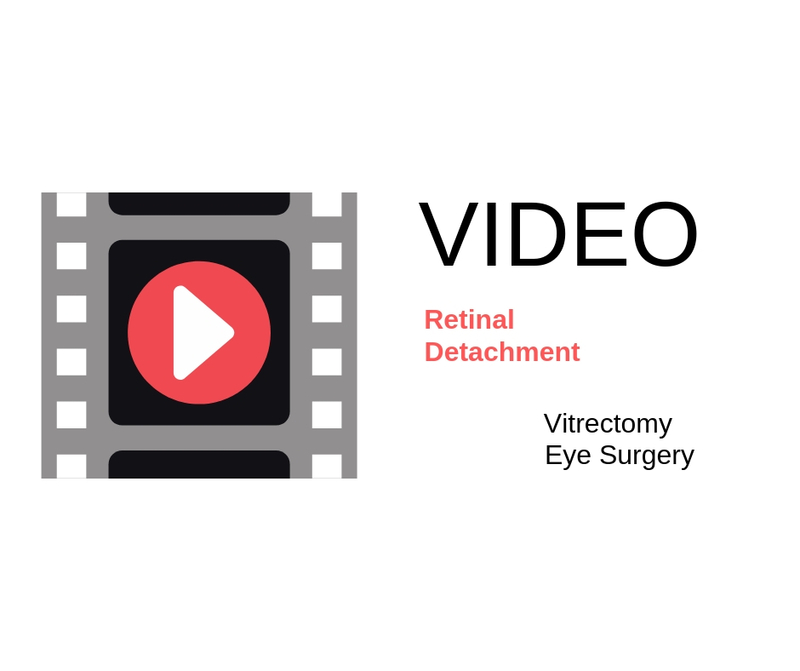 The risks of modern vitrectomy are quite low, while the risk of a retinal detachment occurring while we are waiting is quite possible. 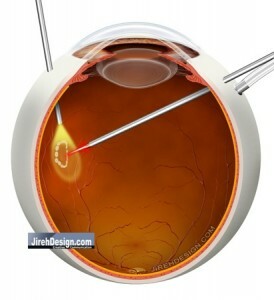 Vitrectomy surgery is usually performed as an outpatient. If a tear is indeed present, it can be treated simultaneously. At the very least, a diagnosis can be made and a potentially blinding condition avoided. I had th epiretinal membrane done on my right eye on oct last year and cataract developed one month later (and my wavy vision had not much improvement ) ,I had the cataract surgery done this year on oct 2011 ,and when my blur vision recovered ,I notice of double and wavy vision . Now I am wearing glasses with prism on my right eye (v-prism 2.00 up ) . What is the caused of double vision ? will it recovered after wearing the prism len for sometimes ? I have no idea why you have double vision after the surgery. I would pursue this with your doc. I have just had the 7th surgery on my right eye for repeated retinal detachments. During my last surgery for retinal detachment it was discovered that I also had a hole in the macula and a retinal tear. My surgeon repaired all three with vitrectomy and endo laser and he placed silicone oil in my eye in hopes that the membranes that keep pulling my retina loose, will not form. I have been dealing with this since February of this year and have used Prednisone 1% drops since then as well as antibiotic drops and ointment after each surgey. He has continued to do his best torestore my vision but at this point I feel that if this surgery doesn’t work I cannot endure another surgery. I have adapted to living without vision in my right eye and feel that perhaps that is what I will have to live with. Will my eye remaing normal looking if my vision is not restored? Is there a risk of losing my eye completely? Have you heard of other patients that have had this many surgeries and finally get their vision back? Losing all vision is a possibility. Understand I don’t know your exact situation and I can not examine you, but rarely do eyes with this many retinal detachments see well. It is possible that you could lose the eye if the retina is not detached. The condition is called phthisis bulbi. This, however, would happen very gradually. Thank you for your efforts in running this blog. Very useful and informative. I had a retinal detachment 6 months ago, probably due to a tear that progressed over 2-3 months to upper 1/3rd vision loss. A vtreoctomy with gas and scleral buckle was performed first and due to lot of retinal bleeding (not sure if redetached retina) a second one was done after 20 days with silicone oil and the eye lens removed. The original detachment had just about reached macula. Retina is now attached and flat ever since. My vision in the affected eye is blurry and little distorted. It is also restricted (i.e. I have only central vision and no peripheral vision). My other (good) eye has good vision but it has something on the retina that one doc called a “hole”. But my eye surgeon says it is a pigmentation and no need to worry abt now. 1) What is the reason for loss of peripheral vision after surgery? Will this be permanent? 2) Should I be worried abt the hole/pigmentation in the good eye retina? If yes what should I do? 3) Should I get the oil removed if my doc says so? Or should I first opt for a contact lens (to replace my natural lens which was removed) and see how that works. If it is acceptable vision maybe I will keep the oil as long as I can tolerate it. 4) I am a healthy 39 yr old male, not diabetic, myopic in both eyes (about -4.0 each). What could be the cause of the retinal tear? 5) This may be interesting to you – I used to do regular Yoga and heavy Pranayama (breathing exercises). I read online that there is some connection between these, which can cause increased eye pressure and retinal tears. Is this true? 1. Can’t tell from your description, could be from blood, could be from huge refractive change from the oil, could be from having no lens, could be from the retinal detachment. 2. If it’s pigmentation as your retinal surgeon suggested, then usually nothing to worry about, but let him/her follow up on that area. 3. Get the oil removed first…when your doc suggests. Vision with contact lens and silicone oil probably not going to be very good. Related to the optical differences between oil and water. 4. Tears can happen in anyone. 5. Not to my knowledge. No. An ultrasound is indicated if you can’t visually confirm the retina is attached. If you can’t see the retina, then a B-Scan may be needed. Thus, it is possible that enough of the retina was visible in Newport News, hence an ultrasound would not be necessary. This is all normal. The respective portion of the retina sees the opposite field. For example, when you are standing up, the gas rises to the top of your eye. The top portion of your retina “sees” below, or inferiorly, and is blocked by the gas…hence, the vision below is poor. If you think about it, this “reversal” is the only way we could possibly have so much peripheral vision through a small 2-3 mm pupil. Last May, 2011, I had a retina tear in my left eye. I am a nearsighted both eye 3.00, I had laser surgery at once but in the left side only. However, after a month, I had Vitreous hemorrhage on the same eye, ultra sound and ultra sonography found no detachment of retina, my problem now is my Vitreous Hemorrhage. My question are the ff. 1. can i have Vitrectomy Surgery now? 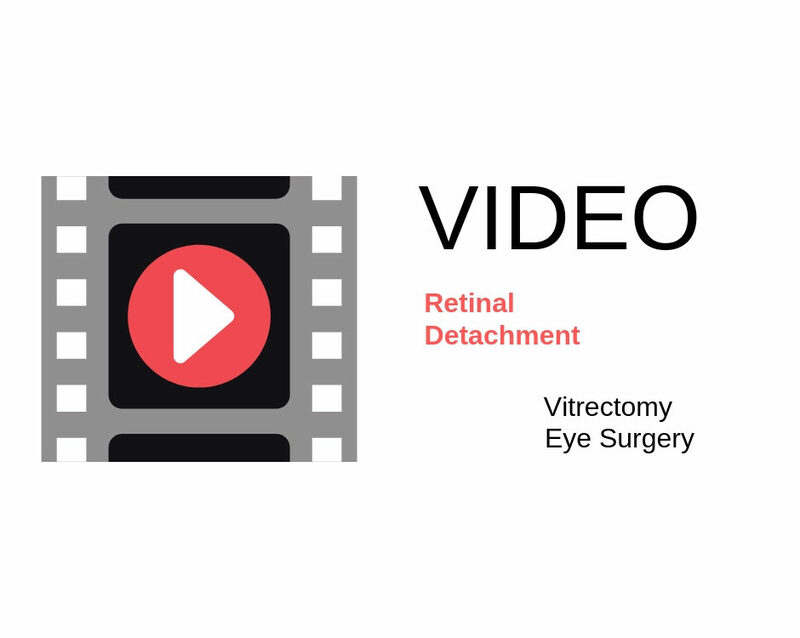 3. what are the rate of success for a vitrectomy surgery? Thank you so much! Hoping that you may reply the questions that had been asked. As I said on my FP Page, if you still have blood in your vitreous, a vitrectomy may indeed be helpful. Obviously, the resultant vision will depend on the health of your retina and other structures. The major risk of any intraocular surgery are blinding infection or retinal detachment. Both are extremely unlikely. because he is hoping that the Vitreous Clots will clear on its’ on, or the body will absorb on it’s own, waiting for several months to absorb, besides its not causing Severe Vision lose. I had a full background vision but its not clear yet, my problem is the Vitreous Clots that is very disturbing and bother my sight often, because the Vitreous move fast and spread like a thin line or a thin cloud that make it blurred. Hope you can advice me to my question? 1. Can my Vitreous Clots still absorb on its own? Will the body absorb it too? 2. How long will it take too fully absorb in my Vitreous? 3. In my case, will you now advice A Vitrectomy Surgery or wait for a longer time? 4. Are bleeding, infection, progression of CATARACT and Retinal Detachment always a Risks and Complication in a Vitrectomy Surgery? Thank you So much! And more Power. 1. I doubt they will if they have yet to do so. 2. It may not absorb. 3. I would advise, as I did before, that you consider a vitrectomy. 4. Bleeding, infection, and retinal detachment are always a potential risk, but very very slight. Bleeding is usually benign. Infection is rare, at least in the U.S., occurring 1:10,000 or less. Retinal detachment is probably around 1%. If your vitrectomy surgeon is careful, cataract will not likely progress any faster than normal. Thank you! Can I ask if you know a Victrectomy surgeon residing here in the Philippines that you would like to recommend? Silicone oil floats on water. If you lie on your back, the oil may “leak” or move toward the front of the eye and abut your cornea. We don’t like this to happen. Also, the silicone oil could plug the pupil causing a rise in the eye pressure. Fortunately, most of us don’t like lying on our backs anyway. It is a small convenience in my opinion. It’s hard to say if the distortion (bend) is due to the refractive nature of the oil or something developing on your macula. You’ll have to ask your doc specifically. I appreciate your reply. I go back for a 4 week check on 29 August and will speak with my retina physician concerning the distortion. I’m 21 years old and 8 months ago I got grazed in my right eye by a clump of dirt someone threw. I immediately went to the doctor because I’d noticed a dark blob in the lower right corner of my eye. The doctor looked and said it was blood, and couldn’t see through it enough to see my retina. So I went back a week later and he checked again and said everything was fine. Over the months the blob became lighter and broken down. Eight months later I’m still seeing what I believe to be remnants of the blood. It’s not as dark or noticeable as it was, and the pieces when I really force myself to study them look clear/see through in the middle and kind of like oil in water. They do not remind me of the normal floaters I have in my eyes. Is there a chance that there is still blood in my eye? Will it ever fully reabsorb? Yes, there is the possibility of blood, but when you were examined, noone mentioned blood? Maybe get a second look and mention you think there is some blood in your eye. I can’t tell from my seat (ie. I can’t examine you). P.S. I want to add that the pieces are see through in the middle, but still a little greyish on the outer edges. No matter, your description doesn’t help. As long as they (whatever you see and however you describe) are moving to and fro with eye movement….whatever it is, it is definitely in the vitreous. Remember, floaters is a generic term for anything moving in the vitreous….be it blood or something else. Yes the doctor mentioned it was blood. When I went to the doctor the morning after the incident he looked into my eye with a slit lamp and said there was blood there, but that it was too dense for him to see my retina and to come back a week later to give the blood time to disperse a little. When I went back everything was fine. The blood remained, but has gotten lighter and more mobile (I guess) over the past 8 months, although I still notice light, wispy, pieces dart across my vision when looking up at a clear blue sky. I guess what I am asking is that these remnants of blood that I still see in my eye…are they ever going to fully dissolve without surgical intervention? I read somewhere that blood takes longer to dissolve in ‘younger’ eyes with a fully formed vitreous (I’m only 21). Is it normal for pieces of blood from a traumatic vitreous hemorrhage to still be present in the eye after so many months in cases like mine? Should I expect to live with this for life, or will it eventually dissolve? I wasn’t given much information on Vitreous Hemorrhages except for what I’ve read on the internet. 2. It may not go away completely, but if it hasn’t by now…unlikely. 3. Fully formed vitreous: it’s fully formed when you are born and starts to degenerate. 4. 50% of vitreous hemorrhage, regardless of cause, does not resorb on own. Sorry, but what exactly do you mean by this? “4. 50% of vitreous hemorrhage, regardless of cause, does not resorb on own.” Does this mean that I will just have to get used to it? I meant that if the floaters, or whatever you are seeing, hasn’t gone away by now…unlikely. You either get used to it or have a vitrectomy to remove the blood. Hello and thank you for such an informative site. My husband had scleral buckle surgery just over 2 mths ago for a retinal detachment in his right eye. A month later he had further retinal detachments and (“unusual”) bleeding in the eye and had an immediate vitrectomy with a long acting gas bubble. He positioned on his left side for 2 weeks (during which time the pressure increased so much he had to have an intra-venous pressure reducing drug to bring it down.). The positioning requirement ended 2 weeks ago and since then everything has been OK with the redness in his eye gradually clearing. But yesterday we noticed an increasing redness, and in particular there is very visible blood at 2 or 3 positions in the white of his eye, above the iris. We wonder if they are at the site of the puncture wounds or where the sutures are/were. He has no pain and no irritation, just this blood. Should we see the eye doctor immediately ? (his surgeon is currently on holiday and his next appointment with him is in 7 days time). It is the weekend now and we are not sure if we should wait & see what happens then make a visit on Monday, or go to accident & emergency straight away. Obviously I can’t assess your husband without seeing him. Blood on the outside of the eye is usually quite benign… but I can’t obviuosly tell if this is the case. I’ll have to recommend you alert your doctor about your concerns. i had a FOV vitrectomy surgery in November of 2012. I developed a vitreous hemorhrage after a week. Went back to the Dr. and he did a B-scan. He said to give it time to clear. I went back in again and had another vitrectomy in December, 2012 to clear the blood. I did not have to do any lazer surgery as there was no tears etc. The question is why diid the hemorrhage occur initially? Also, it is now April and I am forming a cataract in the eye. My vision was 20/20 with corrected .75 glasses, I can see close up with the operated eye but distance is very blurry. How difficult is the surgery going to be without the vitreous no longer present? Is the surgery done the same way as a normal cataract? Thank you for any information. Vitreous hemorrhage could be from a tear or nick in a blood vessel, but your doc never found one. It is possible that you bled right after surgery… what gauge vitrectomy was used? I now have another hole in my retina, after having the vitectomy (Spelling?) about 2 years ago. I have also had cataracts removed and Lasik surgery in both eyes.. years before. My doctor is reluctant to do another surgery on that eye, but it is my choice. Now I’m reading that if I leave it untreated, I’ll cause a detachment which could be more serious and even cause blindness. The good eye has got the beginning evidence of VMT which is how the hole in the bad eye began. So I’m scared to death. Should I insist on the surgery or is it possible that the retina will not detach? I am 75 yo and in excellent health otherwise. Do you have a macular hole? Macular holes do not lead to retinal detachment and are associated with BMT. About 3 weeks ago I was doing yardwork and something “pinged” into my eye, likely a piece of wood. I experienced flashes of light and my vision was blurry. I was found to have two retinal tears and actually some retinal detachment in that eye, and had laser treatment. About a week after that I experienced a vitreous bleed which the doctor said was due to a break in a blood vessel that went across was one of the tears. My vision is now very blurry, with dots from blood cells and large floaters. One of the most distracting things is that there is what appears like a large piece of black mesh that comes down midway into my vision when I look down but it goes back up when I look up (that is, it definitely seems attached to something and not floating in the vitreous). It’s not opaque like a curtain but more like dark lace. I believe I also have some lattice degeneration in that eye. Do you have any idea what it could be I’m seeing? Could it be blood pooling in my eye or do you think it’s a flap from something? Thank you so much, Dr. Wong, for your opinion. Could be blood, but impossible for me to know without the ability to examine you. My husband had a retinal detachment on 08-15-12 hours after the surgery he was in a lot pain. We rushed him to the doctors early the next morning and his eye pressure was 50. He was vomiting all over the place. The doctor did an ultrasound but could not see anything because there was too much blood. This continued for 15 days, multiple ultrasounds were done but he could not see anything. On the 17th day I took my husband to a new doctor and they operated on him right away. His retina had detached again and he told us that because of all the old dried up blood that was left in his eye too long that he will never see again out of his eye. It is now a year later and my husband has had 3 more surgeries to keep the retina detached because of the scar tissue. Could anything have been done to save his sight early on? It sounds as if your husband developed PVR, Proliferative VitreoRetinopathy, a complication of retinal detachements where scar tissue repeatedly detaches the retina. Prognosis is hard to say because I can’t examine him. My mother, who is 83 had a detached retina a few years ago and had another large tear about 3 months ago. The physician repaired it and put silicone oil in. She just had the oil removed yesterday and went for a followup visit today. She had pretty much no vision in the eye. The dr said that there was blood in the eye and he couldn’t see in so he did an ultrasound. Her pressure is good 9 and 10 I believe. Question—what is the possibility of the blood going away? and if the blood doesn’t go away, will she require another surgery if she wants to regain vision? Blood likely to go away on its own, but if not, repeat surgery may help. By now you’ve waited a couple of weeks…any change? I have myopia of around -5.5 in each eye. I am scared to death of having a retinal detachment and resultant vision loss. I have a lot of clear circular and worm like floaters that move around when I move my eyes. I had an eye exam about 6 months ago and they told me my retinas were fine. I am having another eye exam next week again to check. My question is if there is anything I can do to prevent having a retinal detachment as I know I am at a high risk due to my high myopia. Is there any prophylactic surgery I could have done to avoid a detachment or do I just have to wait and have something done if I do develop a detachment. I would like to avoid this if possible. Thanks for any advice you have! I don’t consider your degree of myopia abnormally high. Technically speaking you are at the lower end of “high myopia.” While it is true myopic patients sustain more retinal detachments, it is still a very small fraction. It has been my experience that most “non-retina” specialists counsel their near-sighted patients as if the retina is likely to detach and you’ve got a time-bomb waiting to explode! Make sure you get examined any time you notice the sudden onset of new floaters, flashes or a decrease in your vision. BTW – I don’t routinely follow patients just because they are near-sighted! I am after a bit of advice. My partner suffered a massive trauma to his left eye on the 23rd of December 2013. 4 years prior to this he had a cornea graft on this eye so when the trauma occurred the cornea opened and some of his vitreous jelly came out, his lens smashed, retina and choroid detached and blood collected at the back of the eye. On the 24th and emergency op was performed where they simply closed the cornea to prevent infection. On the 7th of January a second op was done to remove the broken lens and re attach the retina. It was only then that the surgeon found his choroid had detached along with the retina and he decided not to put the silicone in but did remove the jelly and fill with liquid. The surgeon said he could not see properly to perform the retinal attachment due to the blood that had collected. It is now the 25th of jan and the surgeon still says that the blood hasn’t cleared enough to go back in. Upon reading your blog I notice you say there is such an operation to remove the blood to see the back of the eye. Obviously we are aware that if the retina is left over a period of time the likelyhood of a successful re attachment is slim. 1. Why would the surgeon not look to operate to remove the blood in order to do the re attachment? 2. In your opinion do you feel the time passed is too long to expect a successful attachment? 3. If the surgeon decides not to operate again as he said this was a possibility, what can we expect to happen to his eye? 4. Do you feel we should be searching for a second opinion? My partner is 31 year old male and obviously this has affected him and his outlook on his future and livelihood. Although he still holds hope I feel it would be better for him to have a forward approach and a more realistic percentage of the likelihood he will gain some vision back so either way he can start to accept and adapt to his new life with one eye if needs be. 1. I don’t know. Doesn’t make sense. 2. No, but I wonder if there is really just a choroidal detachment vs. retinal detachment? 3. No clue because I really don’t know what you are dealing with, thus, my recommendation below. 4. I think you should get a second opinion. At least find someone who can convey more information to you. I am 58 and short sighted. I had been recently diagnosed with a retinal tear, which was treated by laser. A couple of weeks later I had some vitreous hemorrhage in the same eye, which is being cleared slowly. Before the event I have been exercising, especially running, about 3 times a week, and also some weight and power exercises in the gym. Since the event, according to the doctor’s orders, I reduced the activity to moderate walks only. 1. Can the tear and hemorrhage be caused by the exercises, the elevated blood pressure during the exercises or similar causes? 2. Will I be able to return to a higher level of activity in the future? 1. I doubt the tear and hemorrhage are made worse by exercise. Don’t forget that every night you enter REM sleep where the eyes shake violently. 2. Yes. Without a doubt. I noticed floaters in my left eye on July 14, 2014. I went to my eye doctor on July 17, and was referred to a retina specialist the same day. The retina specialist examined my eye and determined I had two small retinal tears. He immediately did laser surgery to repair them but the floaters remained. I went to another retina specialist for a second opinion in August, 2014 and was told that the first retina specialist did a great job sealing the retina tears, that everything looked fine and to just wait for the floaters to resolve spontaneously. Then, on August 29, as I was sitting comfortably I noticed a sudden increase in floaters. Within just a couple of minutes I was completely blind in my left eye. I was told that I suffered a “catastrophic vitreous hemorrhage.” A retina specialist examined me, did an ultrasound, but was unable to see through all the blood in my eye to see if I had any additional tears, where the blood had come from, etc. It is now exactly one week since the hemorrhage and I am able to detect light and shapes, my peripheral vision is intact but I am basically still blind in my left eye. I have another appointment with the retina specialist in 7 days. By then, he hopes the blood in my eye will have cleared enough to be able to see where the bleeding came from and take it from there. My question to you is do you think there is anything else I should be doing? As long as the ultrasound is normal (retina attached) – there is no emergency with regard to the vitreous hemorrhage. One would have to suspect another tear – retinal tears can lead to retinal detachments. By now, you should have some clarity on your treatment plan – how are you doing? BTW, I am a 49 year-old female and I had always had 20/20 vision prior to July, 2014.